Andrew studies under Paul Araki-Metcalfe Sensei, Yagyu Shinkage-Ryu, Heiho, Aratsu-Kai (a 600-year-old traditional Japanese sword style). This particular sword style was chosen as the number one sword style, above all others, by the last three Shoguns (warlords) of Japan. Andrew Sensei was presented with the official sword teaching license (Kaiden Menkyo), and given the official title of Sensei and Paul Sensei are currently the only two licensed teacher, for this particular sword style, outside of Japan. Iaido classes are available in Bassendean for children and adults. Daytime and evening classes offered all year round on various weekdays. Please contact Shadow Sword - Shinobu Dojo for exact class hours for different age groups. Would you like more information on hours, classes and programs available at Shadow Sword - Shinobu Dojo? Please contact the school with your questions. Update the details, Write a Review or Report Error of Shadow Sword - Shinobu Dojo. This Chart shows the Martial Arts Styles offered most in Bassendean, Australia area. 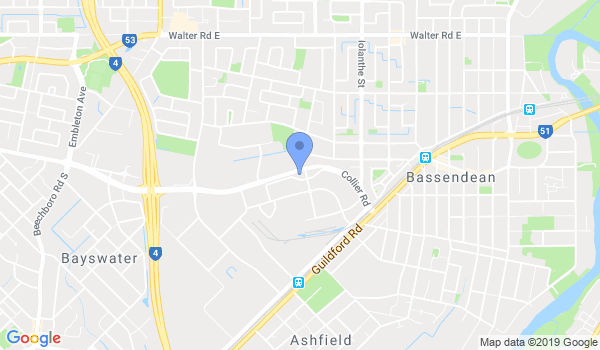 View a list of Dojo in Bassendean, or enter your address below to find schools closest to you.